Challenge: Student brief was use the 3D Printer to create and design something that was of practical use in the classroom. Background: The classroom mentioned has been where a lot of the recent featured work on this site is coming from. The students are showing increased aptitude with the 3D Printers and are feeding off each other to produce creative and interesting designs. This task started as a isometric design in Tinkercad with an oval for the base, the features of the chicken came as a consequence of applying shapes. 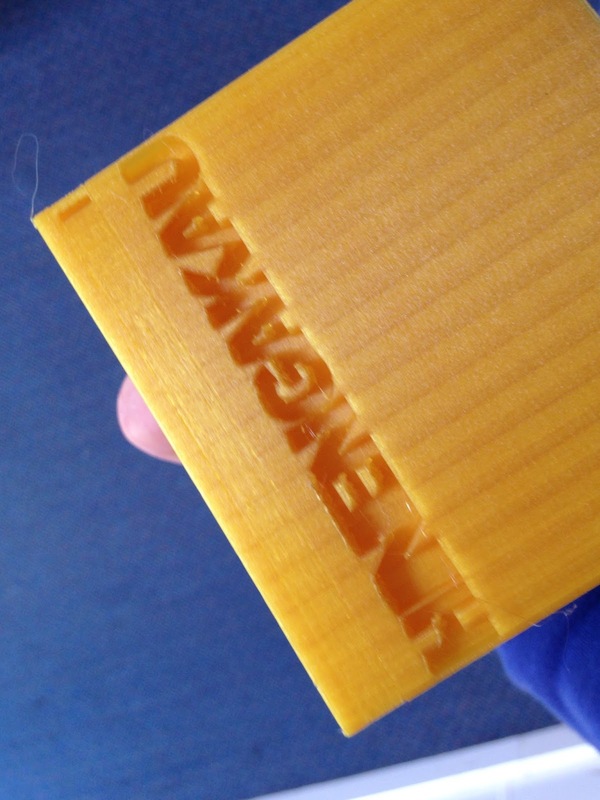 The final stage was to determine while the print was finalised what the purpose would be. It was decided the most practical use was as a 'pencil topper' an object to sit on a regular student pencil. 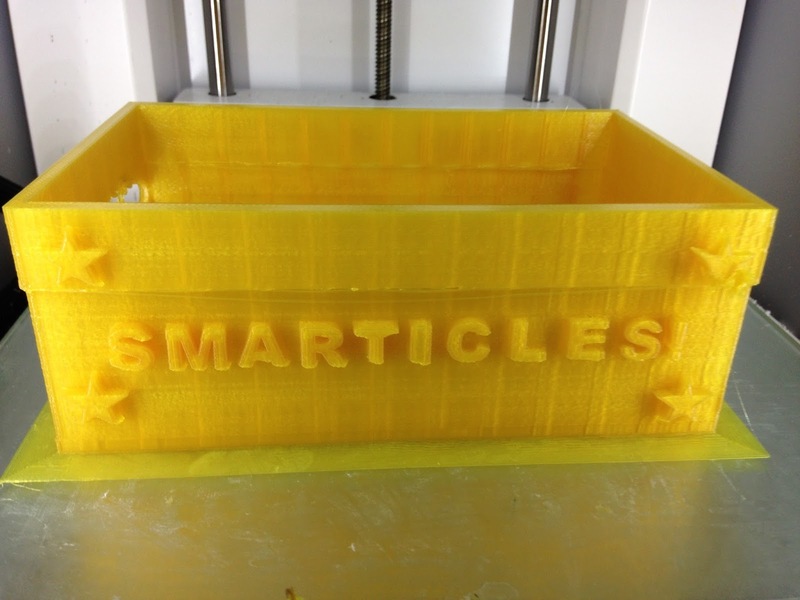 Task: Students to create a project for the 3D printer that was original and innovative. Level of Difficulty: Low - the design was original and a free task. Issues: The eggshell design on the top of the design didn't print as anticipated, however there was no attempt at any rafting. Timeframe: Four hours on a fast print setting. Process: This print came as an organic creation process involving a design with Tinkercad - as mentioned the brief was a creative design that originated from the students, to use the printers. Recommendation: This process should hopefully lead to another group of students to utilize the printers and to do so in a more creative manner. This is a basic introduction task as a stepping stone for more complex tasks. By having it in the classroom in a visible place it would work as a conversation starter too. For those of you who have not seen this site linked on the right hand side of the page I would strongly recommend that you check it out. It has some fantastic practical examples of 3D Printing student projects that can be completed and some excellent resources and material. You can click on the link on the right hand side or on the link here. 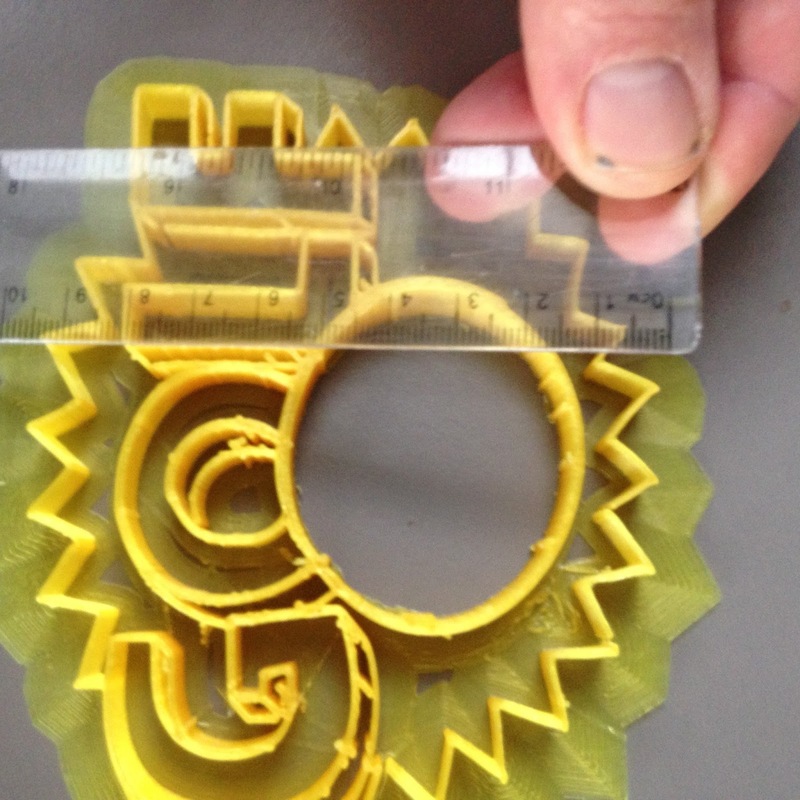 Challenge: For students to produce a working cookie cutter capable of producing cookies. Background: The teacher was looking for a task concerned that would allow students to create a unique and individual piece, with a practical use, that would be allowed to be printed over a short time frame. 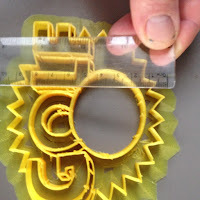 Previously I have seen numerous versions of this task based around the print time. 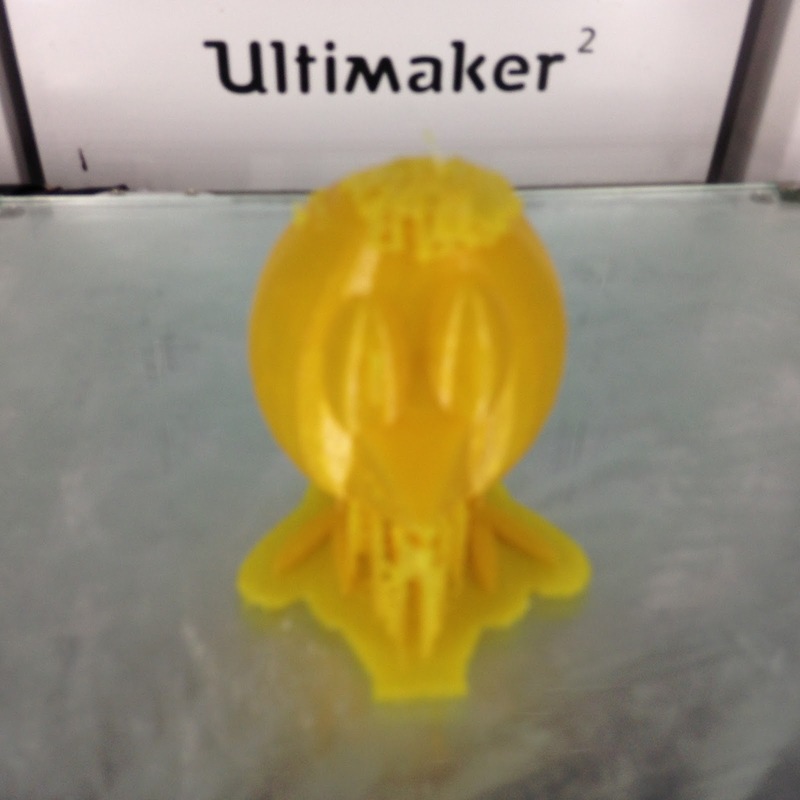 Task: Student to design and create a 3D model for a working cookie cutter, then convert the model to 3D printed GCode and then print the piece. Level of Difficulty: Low. While the shape allows for individuality and the student needed to print it in reverse this was an excellent introduction to 3D printing task that would produce something straightforward for the student in a short time frame. Issues: None. The first print run produced a working prototype. The only considering on viewing the print would be the width of the cutter outline. It was set to fast print setting and would appear to be not very robust in a couple of places. Consideration would be given once it has been fully tested to expand the width of the print and improve its strength. Size: 20cm by 15cm with a depth of a centimetre. 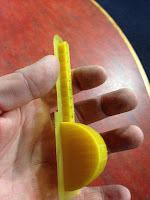 Timeframe: Two hours on fast print setting - consideration for a 'normal' or thicker print. Process: A straight forward print that followed the process outlined in task - the use of the item will determine whether the process needs to be refined. 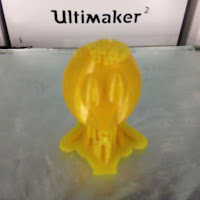 As mentioned in numerous other posts the process of Tinkercad/Cura/Ultimaker2 was followed to complete the process and finish. Again as noted on this blog, the students are anticipated to be refining subsequent prints in the series once the idea has been discussed and the prototype in the series has been fully tested and use. This is anticipated to be the first print in a series of classroom items following this theme. Recommendations: This would be a good introduction task for students to 3D Print. 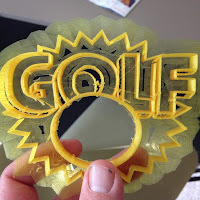 It allows the students individualism with the design (this student is a huge golf fan) and above all the projected print time would mean it would be possible to print an entire class during the period of a week. 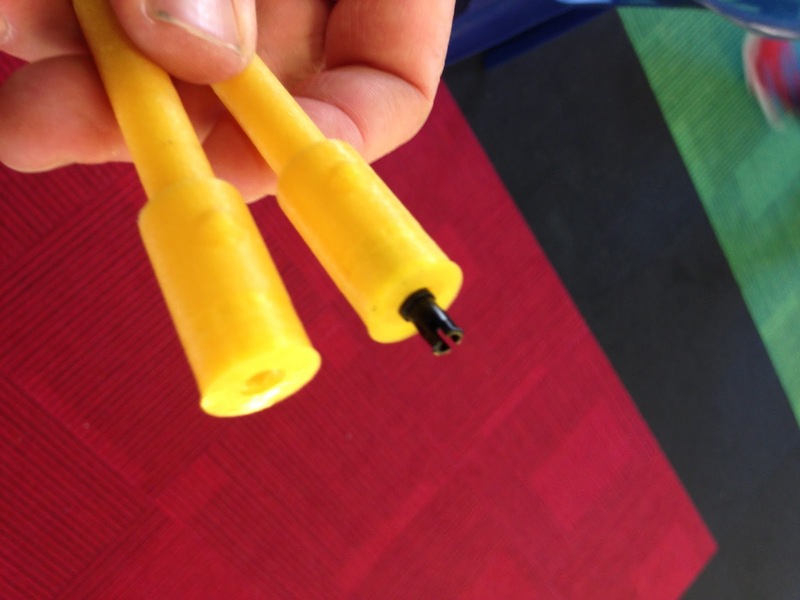 In a previous post we explained the creation of a series of golf tees that would be created using 3D Printers. The second part of this activity was the creation and the design of the golf club. 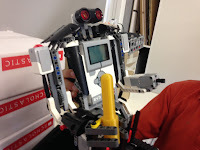 Challenge: To create a golf club for a EVO3/NXT Robot that would allow the Robot to play golf. Background: Our Y7/8 students have technology (DPE) once a week. We have been looking at activities or options that integrate aspects of technology, robotics and 3d printing. We've previously detailed our 100 hour print speakers from 2015 as part of this process. 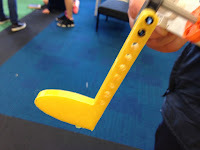 Students are capable of programming the robots to complete a variety of tasks - in this variation students have to program the robot to swing a golf club allowing it to hit a ball, with the goal of having the ball move into a target flag. 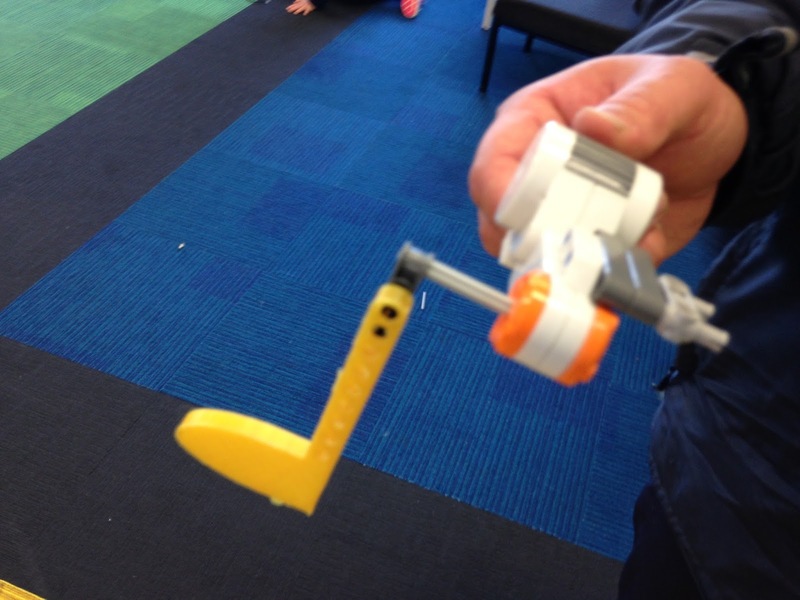 Task: Students to plan, create and design a workable golf club to work in conjunction with a NXT Lego Robot. Golf Club needs to be able to have the stability and strength to move an actual golf ball. Level of Difficulty: Low (Golf Club) however it needs to be noted that the programming of the robots is a potentially extremely challenging and without the students having this knowledge the task could not be attempted. Issues: None - the task was completed in a session with a successful print the holes for the link to the robot was the major potential issue. However, again it should be pointed out that the programming of the robot will be a complex task further complicated by the size of the golf club and the motion to move or swing the club to successfully move the ball. Size: 20cm (handle) 10cm head (there are two designs featured in this post of similar size). Process: The students had involved themselves in designing the Golf Flags in a previous print then spent time programming the robots. The final part of the process was the design and creation of a working golf club. 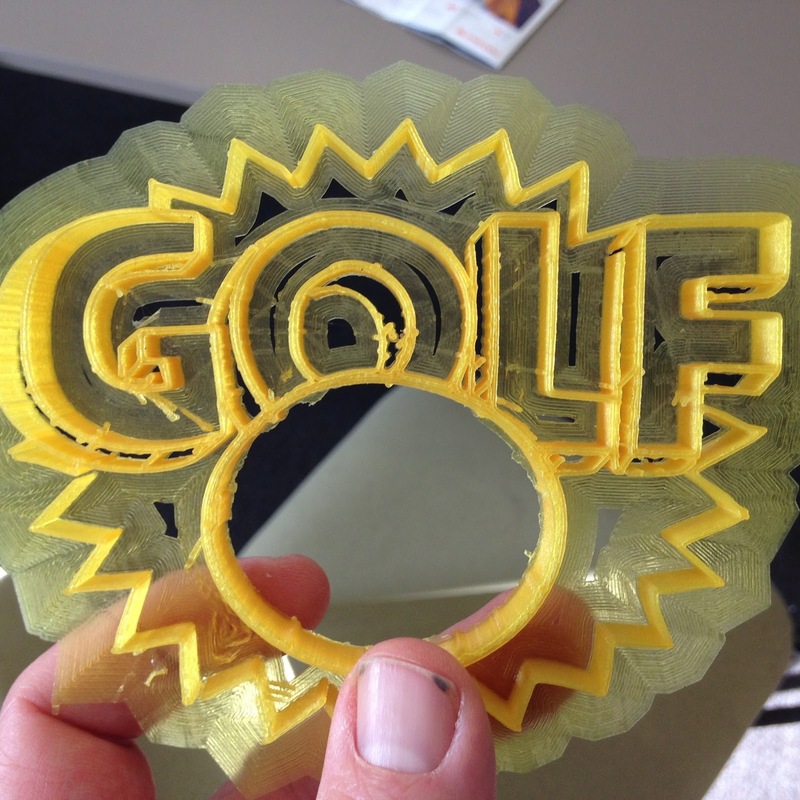 Tinkercad was used to design the club, it was then converted to Cura (Ultimaker 2 Software) and G-Code for a 3D Print. The code was saved to a memory card which was inserted directly into the machine (as is standard for all of the projects featured on this site). This is the first attempt at completing this task for students from our school. On the basis of every time the printers have been used these designs and details would be improved on during subsequent print runs from the students. The Black Lego Pin is clearly visible. In a previous post we detailed the 'light sabres' that students had been built as a prop for the 'Junior Robocup' Competition involving EV3/NXT Lego Robots. 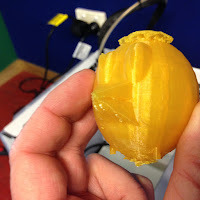 The initial print was successful, although so the students thought, however testing from the students concluded that the gap in the base of the light sabre was not narrow enough to allow a tight robotic grip - hence the students were worried about the Light Sabres slipping during performance. 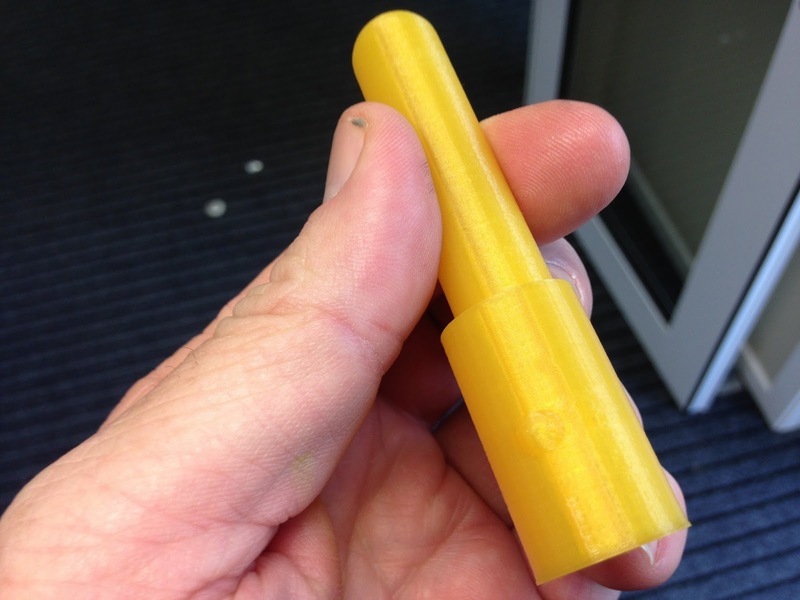 In the initial print the robot is grasping the light sabre around the handle (as can be viewed from the post). 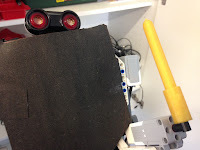 In the amended version a black pin is linking the base of the light sabre which is inserted directly into the hands of the robot - allowing for a much tighter grip during the performance as during testing the first run did not hold the light sabre. 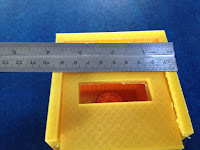 Changes since last print: The time has been amended to 45 minutes per print and the prints feature 0.45m of filament. 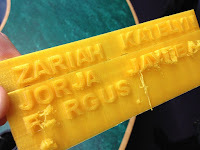 The printables are fully paintable however the students are confident given the colour of the filament is suitable to give the desired effect. All other details remain the same from the initial print. 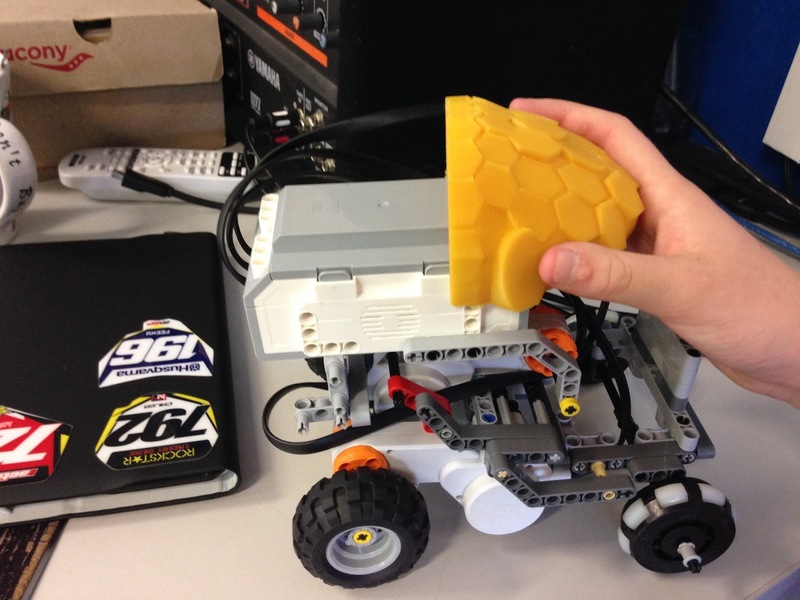 Learning Challenge: Create high quality props by 3D Printing for students use with their Junior Robocup competition entries. Background: The school regularly competes in the Junior Robocup competition, including being the 2014 New Zealand and Australian Champions. 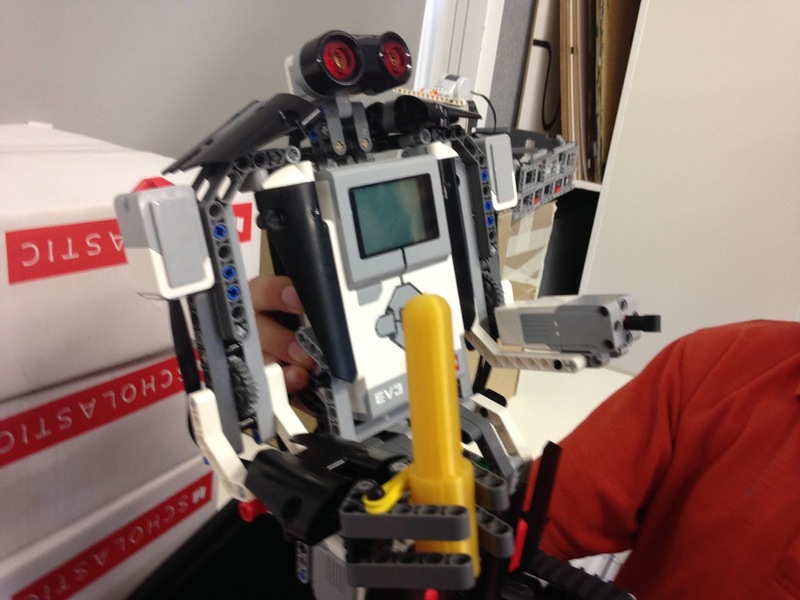 As part of their theatre competition the students integrate theatre and robotic performance. A key part of this is the use of 'props' which previous have been made from materials such as cardboard. Using the 3D Printers allowed the students to create more high end props for their performance. Allowing the use of design to create parts to integrate - although students are forbidden from manufacturing actual robotic parts for use with the robots who would be disqualified if they did so, restricting the 3D Printing to creating props. Task: Students in this robotic performance group have a 'Star Wars' themed act and performance and wanted to use the 3D printers to create the light sabres for use in the performance. Level of Difficulty: Low the creation was consisting of two basic shapes and a button. Issues: The size of the robots dictated the size of the light sabre - the students couldn't create a longer version of the light sabre because it would interfere with the arms movements that had been programme into it. This was the first print run for the object and the students were very pleased with the results. Time Frame: The print was completed on 'fast' settings and took 1 hour and 45 minutes. Size: 2-3cm in diameter and 12cm in length. Process: The Y8 students in the class (12 and 13 year olds) had a specific prop in mind to enhance their robots performance - having designed the 'Light Sabre' the process was limited by the programming that had already been in place for the movement of the light sabre. Therefore the length of it was limited (as a longer blade would have interfered with the current programming of the hands of the robot for the performance). The competition is in three weeks the prop part has been completed last (with the programming of the robot the main focus). These students are the first time to utilize the 3D Printing possible to enhance the performance. If the past is anything to go by this will have an energising affect on other groups who will then produce increasing complex designs for props. The greatest limiting factor will be the timeframe and the programming of the robots prior with the design coming last. One would anticipate that the 3D Printers will be used from the start of the process in future with increasing complex props. 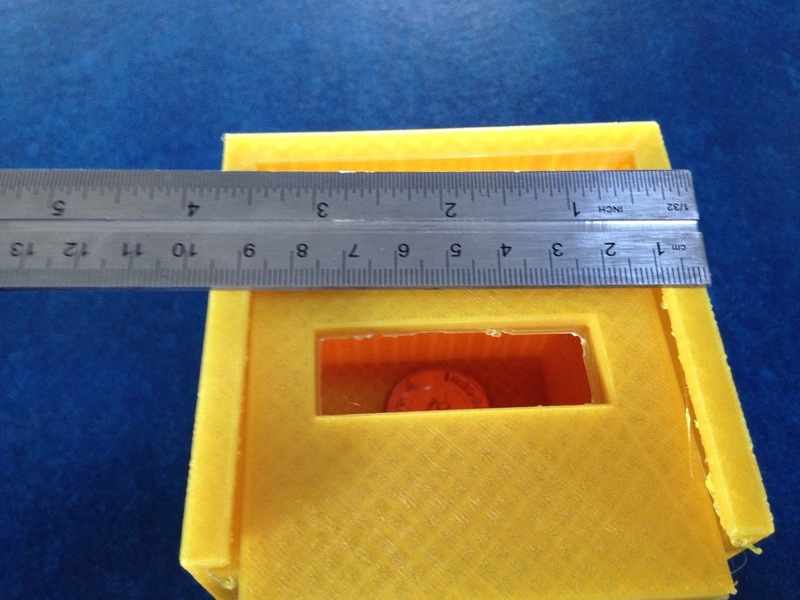 Learning Challenge: For a group of students to design, create and print a functional box that was to be the location for classroom 'reward' money for excellent behavior. 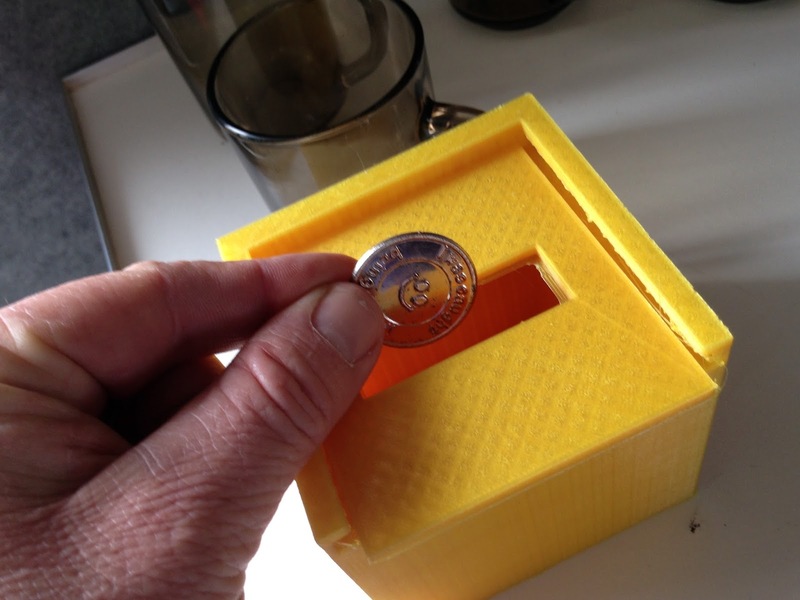 This group of students designed a slot and build this into the side of the box for the insertion of the 'classroom money'. Background: The students were inspired by the previous box print that is described in the previous classroom print. 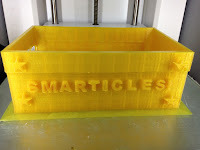 They were looking at adding additional features to personalise the box, the name of the group of students when working collectively is the 'Smarticles' hence the labelling in the picture. 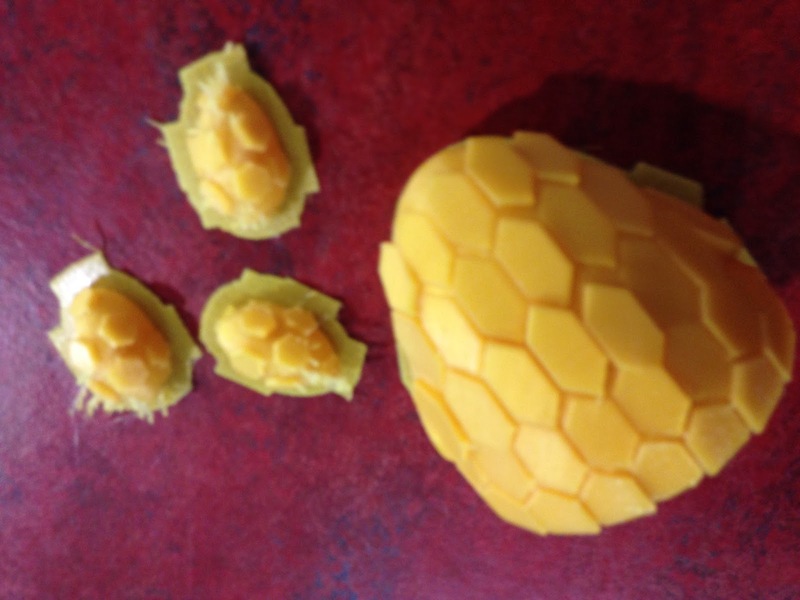 123D Design was again used in the production process instead of Tinkercad. Task: To design a functional box that would be clearly identified as belonging to a group of students that would hold classroom 'reward money'. Level of Difficulty: High - the students in addition to the printing of the box wanted to add additional features including the name of the group and the names of the student on the box. They neglected to included 'rafting' in the print which had an adverse affect on the printing of the groups names. Issues: The names on the reverse of the box was unsuccessful - Fergus had an 'e' fall off his name - Jayden rather unfortunately became 'Jaden' and some of the general lettering was untidy. This was a result of the box being printed from the base up and without rafting - both of which would have potentially resulted in a different result. The base of the box was successful. Time Frame: The machine registered an initial print time of thirty one hours for the print. The lid for the box is to be printed separately but is expected to be in the 14 hour print range. Process: As an 1:1 iPad School the students are utilizing the App for 123d Design as Tinkercad restricts the students to working on the desktop.